The Malta Individual Investor Programme (IIP) offers high net worth individuals of exemplary standing, and their families, citizenship in an EU country that boasts a world-class financial services sector, excellent health care and an enviable Mediterranean lifestyle. Malta has been a European Union member for over a decade and is currently the only country in the borderless Schengen Area of Europe offering investor citizenship. In order to be granted second citizenship in Malta, which includes EU citizenship, foreigners must contribute a minimum of 650,000 euros to the Islands’ National Development and Social Fund, purchase 150,000 euros worth of government bonds, and retain a residence in the country either by renting an apartment or purchasing real estate worth at least 350,000 euros. Once all the requirements of the Individual Investor Programme (IIP) have been met, Maltese citizenship is granted via a Certificate of Naturalization and the candidate will be issued a Malta passport enabling them visa-exempt travel to more than 150 countries. Becoming a citizen of Malta also awards investors the right of establishment in every one of the 28 EU countries, as well as in Switzerland. Since launching in early 2014, the citizenship by investment in Malta programme has received more than 400 applications which will bring the country in excess of 450 million euro of direct foreign investment. 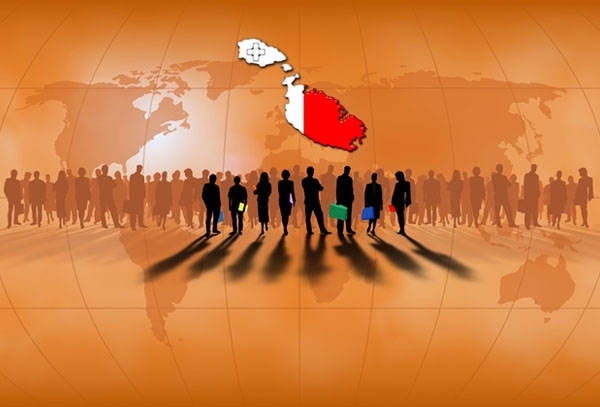 In contrast to many second passport programmes, the Maltese IIP scheme requires applicants, over and above their financial investment, to meet a one-year residency requirement to ensure they develop a true link with the country. With a growing economy, stable political environment and among the highest due diligence standards, the Malta investment citizenship scheme has gained a reputation as a preeminent, economic citizenship programme. The Maltese IIP is also the first to receive European Commission recognition, thereby ensuring its long-term success. Individuals of excellent repute from more than 40 different countries have already applied for a Malta passport through the programme and new applications are still being accepted to date. The country permits dual citizenship, and obtaining EU citizenship in Malta does not necessarily have any tax consequences since “non-domiciled” persons are given special tax advantages. The only way to apply for Maltese citizenship by investment is through a licensed representative. Dr Anton Tabone of Malta Immigration has been helping international clients with their legal needs on the Islands for more than 10 years and is an accredited agent of the Malta Individual Investor Programme. Before opening a private legal and consultancy practice focused on immigration to Malta, Dr Tabone was senior diplomat at the United Nations in New York City and has built up an exceptional network of distinguished international professionals. Dr Tabone and the Malta Immigration team is experienced in helping non-English-speaking foreigners obtain citizenship in the EU. In addition to offering Malta immigration services, the firm can also facilitate Yacht Registration through a leasing scheme enabling unrestricted access to European waters for only a fraction of the normally required EU VAT levy. Whether you’re interested in obtaining citizenship in Malta, doing business on the islands or are simply considering retiring in the southernmost country in the European Union, Dr Anton Tabone and the Malta Immigration team are here to help.